If you could eliminate your sinus infection symptoms and prevent them forever without even visiting the doctor and without side effects, would you do it? The method has existed for centuries, and it’s totally natural, very inexpensive, ridiculously simple and proven with every use. The procedure, known as a sinus wash, will send a saline solution through your nasal passages, and this will drain out automatically, taking out all the mucus, dirt and sinus infection symptoms with it. You have to know the classic, common and major symptoms of sinus infection problems in order to know what condition you’re in, especially if you have a cold that’s lasted several weeks and you’re not sure if your condition has developed into a sinus infection. 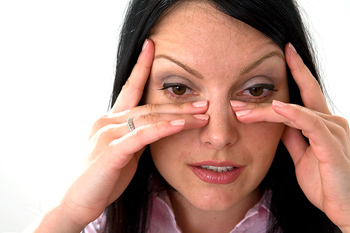 The main symptom of sinusitis is pain and pressure in the face. Other symptoms of sinusitis include nasal blockage or congestion, drainage, postnasal drip, low-grade fever, cough that produces mucus, ear fullness or clogging. Sinus infection is most frequently diagnosed based on a history and examination made by your doctor. The majority of cases of sinus infection are primarily diagnosed and treated based on clinical findings on examination, since basic x-ray studies of the sinuses may be ambiguous and procedures such as CT and MRI scans are expensive. These physical findings may include redness and swelling of the nasal passages, tenderness when the cheek or forehead region of the sinuses is tapped, and swelling around the eyes and cheeks. 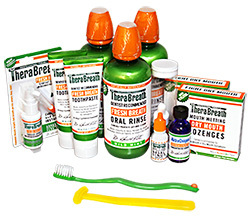 Various nasal sprays, antibiotics and other medication are used to treat sinus infection. Preventative measures are often used to avoid the discomfort and pain usually associated with a sinus infection, since the symptoms are common and chronic for many individuals. Use of a humidifier and regularly cleansing nasal passages are simple activities that can greatly decrease your chances of experiencing sinus infection symptoms.